Welcome back to our final part of this series! Cant you believe the Crafty Christmas Market opens its doors THIS weekend? We can hardly contain our excitement and hope you are as ready for some Christmas shopping as we are! In case you are as excited as we are, we are introducing you to our final Crafty Christmas Market artists and makers in this week's blog! Her experimental style is a fusion of hand drawn and torn elements with bold graphics, to create striking prints, greetings cards and homewares. The market will be open Friday 6pm - 9pm, and Saturday/Sunday from 11am - 6pm! At our Crafty Christmas Market, they will be selling their limited-edition (x 300 only) artwork game. Point and Place's previous project (“point and place” bookwork won an award -Birgit Skiold award 2007 at London Book Arts Fair and is held in Tate Archive, Yale Center of British Art, as well as other collections & libraries. The game can be seen as a family game but also as a starting point for creative strategies. At our Crafty Christmas Market, you will be able to purchase the game for £35. Blästa Henriët is a Scandinavian brand with strong focus on durable design. Using natural and raw materials they have developed a collection of therapeutic wheat bags, eye pillows and spa loungewear. Their wellbeing products are made from European, hypoallergenic linen that is kind to your skin. With a skill and passion for craftsmanship, each piece is made by hand in their London studio while supporting supports British craftsmanship. 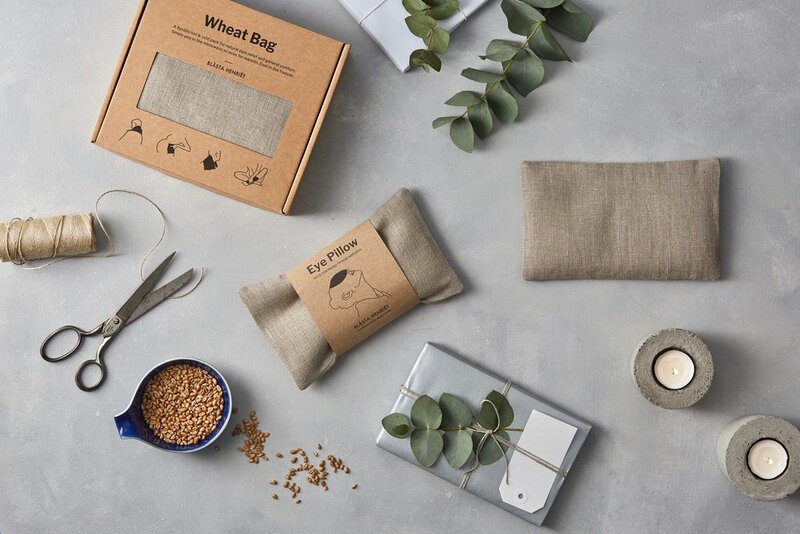 At our Crafty Christmas Market, they will be offering their Nordic take on the traditional hot water bottle, a flexible and natural linen wheat pack that can be heated in the microwave or oven and cooled down in the freezer. The Wheat Bag offers snug warmth as well as therapeutic deep heat to ease muscle tension, relieve joint pain and soothe cramps. It can also be used as a cold pack to reduce swelling and ease migraines. The wheat bags can be used during yoga & therapy, as a cold compress after injury or simply as a heat pack to stay warm and cosy. With secure double stitching and the use of sustainable materials I can ensure a durable product that is made to last and doesn’t cost the earth. By manufacturing in England with materials sourced locally or within Europe I can limit my carbon footprint and contribute to a greener environment. At our Crafty Christmas Market, Lo will be selling her Wheat Bags for £25 and the Eye Pillows for £15. Meagan Stephanie Electra Wellman is the founder of M-SEW which is based in London with production in the U.K. and within the EU. M-SEW takes island colours and comfortability and merges them with an urban silhouette and practicality. “sound Waves” is the latest M-SEW collection. M-SEWs designs ensure that the collections separates can be easily inserted into the modern woman’s wardrobe, along with playing around with different looks within the collection (pieces mix and match to style various looks). 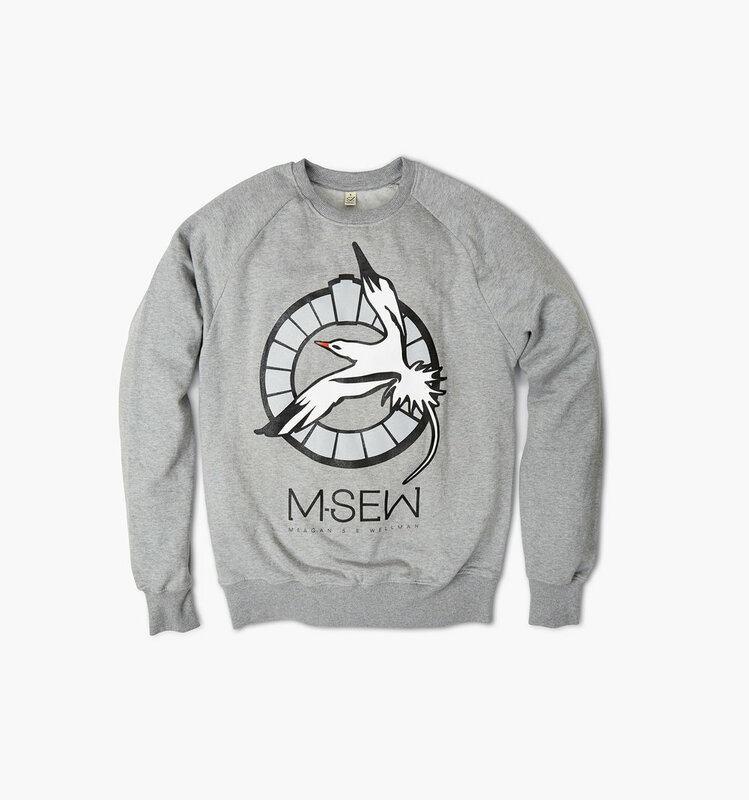 At our Crafty Christmas Market, M-Sew bio will be offering a special deal on pre-orders on their most recent collection entitled Sound Waves. Customers can pre-order pieces from the collection at wholesale price with an additional 15% off on the days of the Market. This is an offer extended for customers that attend the market only. Experimentation is at the core of Evelyn's work. Clay’s willingness to be changed and transformed in all sorts of structure makes it the perfect medium to explore the meaning of self, tradition and beauty. At our Crafty Christmas Market, Evelyn will be selling small pots (£25-£30) and bigger pots (£30-£80). We are excited to see you at Hotel Elephant THIS WEEKEND!